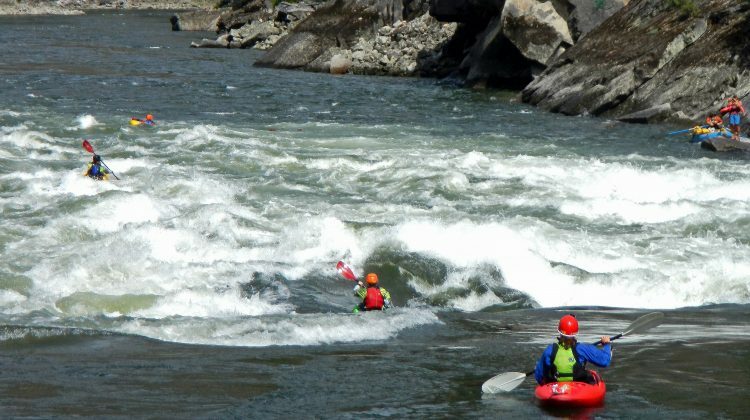 Idaho’s Salmon River, the Grand Canyon of Idaho, is one of the longest free flowing rivers in the United States and cuts through a vast area of incredibly rugged Rocky Mountain wilderness – the largest wilderness area in the Lower 48. The canyon it creates is the second deepest on the continent and it has a timelessness and mountain grandeur that is matched by few rivers anywhere. 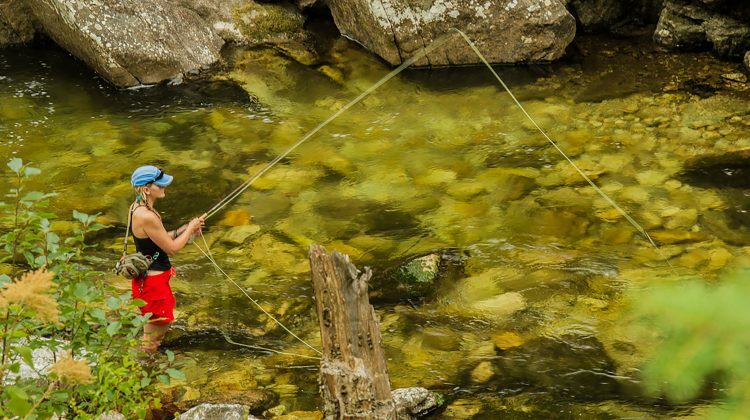 It is one of the last big mountain rivers remaining in the world that is undammed – and for 85 miles it is virtually untouched by modern civilization. 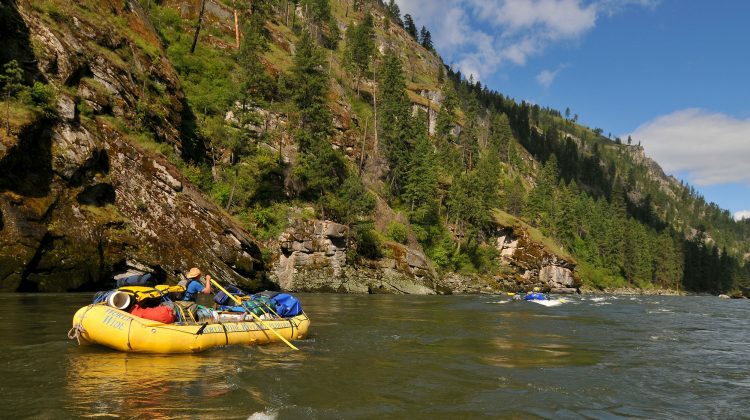 It is a wilderness trip of a lifetime, a rafting trip with beach vacation afternoons, a multi-sport adventure, and one of the world’s premier wilderness rivers. Where is the Salmon or ‘Main Salmon’? The Salmon is also known as the ‘Main Salmon’ to separate it from its tributary, the Middle Fork of the Salmon, and its lower more desert like sections. The Salmon cuts through the huge ‘Frank Church River of No Return Wilderness’ located in the middle of Idaho. This is the heart of the Idaho Rockies and it is absolutely filled with remote and wild rivers. Many of the rivers have been named with a confusing collection of points of the compass and forks. For example there is an “East Fork of the South Fork of the Salmon!” But the Salmon, or ‘Main Salmon” is where all these forks run into. It’s big, it’s beautiful, it’s remote, and it’s fun. Known as the “River of No Return” by early explorers, the Salmon is a big mountain river. It has big water with spring flows rivaling that of Colorado’s Grand Canyon and big, fun, roller coaster style rapids; a big, incredibly beautiful, river corridor set in a massive wilderness with peaks rising over a mile above the river; huge sandy beaches shaded by towering pine and fir trees; big side creeks full of trout (creeks that would be called rivers in many parts of the world); a long history full of big personalities, characters, and stories; a ton of wildlife including Big Horn Sheep, Black Bear, and Bald Eagle; and most importantly it offers an authentic wilderness experience. However, despite its size, history, remoteness, and ominous sounding nickname, the Salmon River is incredibly friendly and comfortable. 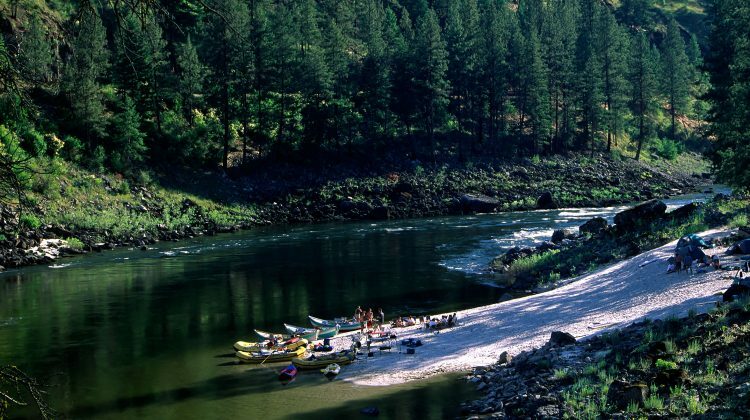 It features warm summer days lasting until nearly 10 in the evening, cool nights perfect for sleeping under the stars, water perfect for swimming, natural hot springs to soak in, perhaps the best beach camping anywhere, world-class trout fishing, a ton of hiking, and whitewater that is exciting yet safe. People have said that it feels wild, untouched, and rugged but at the same time comfortable, forgiving, and almost luxurious – a journey that combines a perfect beach vacation with the solitude, beauty, vast wilderness, and excitement of a mountain whitewater river expedition. 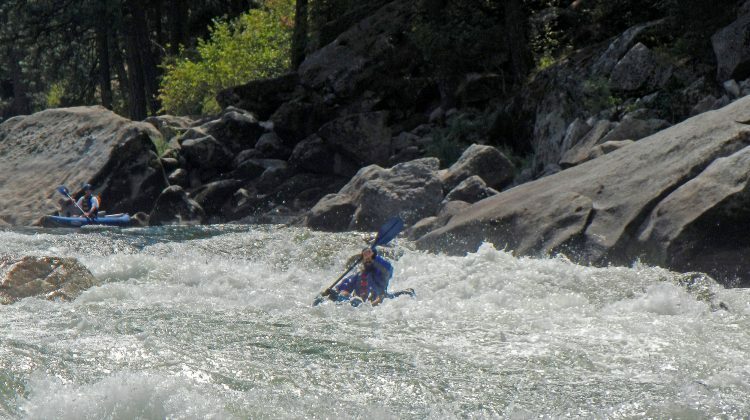 The River of No Return is one of those rare river trips that is ideal for the seasoned whitewater connoisseur, someone wanting to make the jump from shorter wilderness trips like Oregon’s Rogue River, or for first timers looking for their first river trip or an amazing vacation. The trip can be enjoyed by those wanting high adventure, those wanting a very active trip, and those just wanting a beautiful, lazy vacation. Our salmon trips range from groups of families to college buddies to chartered private trips and it is not uncommon to have trips enjoyed by three generations of family or friends. • Transportation to and from Boise Idaho is included - we make it easy to access the largest wilderness area in the lower 48!